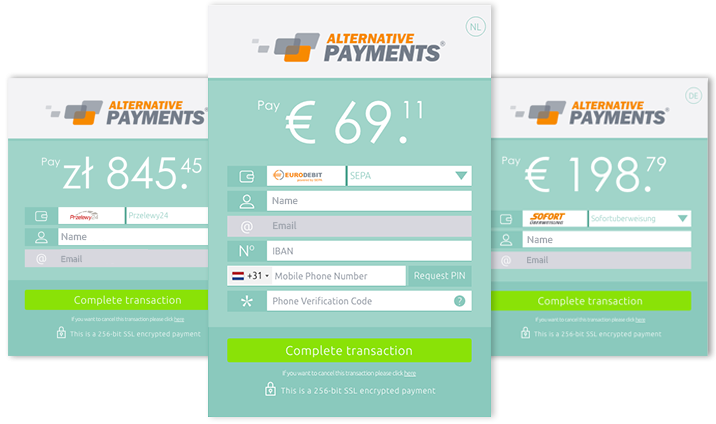 By selecting Alternative Payments' hosted page, you can have the most popular local payment methods with a simple integration. Submit us only the basic parameters via API, and we take care of the rest! Simple, intuitive implementation including only price, amount, customer’s email and customer’s country.